Motherhood is the most fulfilling experience of a woman’s life. I was blessed with four wonderful sons and they were all I could ever ask for. With Arthur, Brad, Sid, and Monty, I felt like my life had meaning now. It may be difficult sometimes, I wasn’t going to lie, but it was definitely worth it. Bukod sa pagiging Mommy ng apat kong anak, I was also busy with our family’s company. Dad had already retired from his job and he was now letting us run the company. Ginagabayan niya pa rin kami sa pagpapatakbo ng kumpanya but majority of his time now was spent travelling with Mama. Minsan sumasama kami lalo na kapag bakasyon ng mga bata pero madalas nagsosolo ang dalawa. Katulad ngayon. They went to Switzerland for the weekend. I was brushing my hair in front of the vanity mirror after blowdrying it while my three boys were jumping up and down the bed. I had already bathed the triplets and afterwards, asked Ronnie to look after the kids while I took a quick shower. The bathroom was the only privacy I had from them and I couldn’t even enjoy my bath because Ronnie was telling me to hurry as she had something she needed to finish. Pagkalabas ko ng shower ay lumabas na din si Ronnie sa kwarto ko at bumalik sa ginagawa niya. Tinuloy ko na lang ang pagboblowdry ng buhok ko habang binabantayan ang tatlo. My four boys still sleeps next to me. They had their own rooms but they prefer to sleep next to Mommy. Maingay at magulo dito sa kwarto ko. Palagi din nag-aaway ang mga magkakapatid. You know, those petty sibling fights. Nagkalat ang mga laruan at mga musical instruments ng mga bata at kahit anong linis ko, after just thirty minutes, they could to turn my room upside down again. I get a daily dose of headache but that was just a small sacrifice for the unmeasurable happiness they bring to my life. I wanted to enjoy them while they were still babies. With them, I never feel lonely or feel like there was something missing in my life. They made my life complete. “Mommy, Brad kicked me!” Sid whined. “I did not! It was an accident! He was on the way!” Brad was quick to defend himself. “Are we going to see a movie today, Mommy?” Sid asked. “Yes, we will.” I answered and kissed the top of his head. “Any movie you want to watch.” I answered. “And then we’ll go to the toystore and you’d buy us toys?” Brad smiled widely. “Toys na naman? Puno na yung toy box niyo tsaka di ba nagpromise si Dad na uuwian niya kayo ng toys?” I brushed my fingers through his dark hair. “If it doesn’t fit in the box anymore, we can donate the old ones to the orphanage.” Sabi ni Sid. We usually donate their toys to Aunt Andi and Uncle Tristan’s orphanage. Mahilig kasi talaga sa laruan ang mga bata. They go crazy whenever we’re inside a toystore. “After we watch a movie, instead of buying toys, I’m going to let you play in the arcade.” I said, negotiating with the three. “Okay!” Halos magkakasabay na sagot ng tatlo. Lumabas na kami ng kwarto at kinatok ko si Ronnie sa kwarto niya. She promised to accompany me today. Hindi ko kaya ang apat na lalaki na ako lang mag-isa kaya kapag wala si Mama at Dad, si Ronnie ang palagi kong kasama. “Hey boys, are you ready?” Ronnie cheerfully asked her nephews. “Yeah! We’re going to play at the arcade!” Brad excitedly said. “Nasaan si Arthur, Ate?” Ronnie asked when she didn’t see him. “Sandali nga lang, I’m going to go check up on him. Ikaw muna bahala sa tatlo.” I told her. At eight years old, Arthur had learned to be independent. He could take care of himself just fine. He was really growing up and the thought made me kind of sad. Dati ako ang nagpapaligo at nag-aayos sa kanya, ngayon siya na ang gumagawa nun sa sarili niya. I went to his room and before I even opened his door, he burst out it. “I can’t remember.” He answered. “Baka naman na misplace mo lang. Mommy’s going to look for it, okay? Tumahan ka na.” I told him. “Paano kung wala na talaga yun?” He sobbed. “No… we’re going to find it.” I promised. His Dr. Daddy’s guitar was his most precious possession. I knew how important that was for him. While Ronnie kept the triplets busy, Arthur and I went downstairs to look for his guitar. Palagi kasing hawak ni Arthur iyon kaya hindi niya na matandaan kung saan niya nailalapag. He must’ve just misplaced it. I asked our helpers if they saw Arthur’s guitar and no one did. When we couldn’t find it inside the house, we went out to the garden. Naalala ko kasi nakita ko siyang gamit iyon sa garden habang naglalaro sila ng mga kapatid niya. We looked around and Arthur was beginning to grow more worried. Halos itaob niya na ang lounging set na nasa garden. Arthur was frantically looking around when I heard a faint strum of a guitar. I paused and followed its sound. It lead me to the toolshed in the far hidden corner of the garden. I went behind it and saw an unfamiliar figure of a man. The man had tan skin and a well-built body, not heavy like a bodybuilder’s, muscled and toned in a way that looked like he’d done labour work for years. He had an untidy shoulder length hair that covered his face, his head tilted down and he seemed so absorbed with the guitar he had in his hans. He was wearing a white tank top with grey stains on them and a pair of worn out and tattered jeans. “Who are you? What are you doing here?” I took a step back, ready to run if I needed. “Sino ka?” I repeated the question, this time my voice more firm. “Ano’ng ginagawa mo dito at bakit na sa’yo ang gitara ng anak ko?” My brows furrowed. “Ma’am, inutusan akong pumunta dito para kunin yung mga gamit inaayos namin kotse sa garahe. Nadaanan ko itong gitara sa hardin, wala sa tono kaya ito inaayos ko. Mahilig kasi akong tumugtog, Ma’am. Tumutugtog ako pagpiyesta sa probinsya namin tsaka sa mga bar.” Bumaba ang tingin niya sa gitara. “Arthur…” I touched his shoulder. I understood that he was upset but it was not an excuse to talk like that especially to adults. “Inaayos ko lang, boy. Hindi ko naman inaangkin.” He chuckled playfully, massaging his nape. “Sorry, ma’am. Hindi na mauulit. Sorry boy- sir Arthur.” Hingi niya ng paumanhin sa akin at sa anak ko. “This is mine and my Dr. Daddy’s guitar. See! It has our name on it!” He pointed out the carving on the guitar. “He was a psychiatrist!” Arthur answered for me. “Ah iyon ba yung doktor ng mga baliw?” He asked. My jaw clenched and annoyance surged over my whole system. How dare he say that in front of my own son. I took in a deep breath, trying to compose myself. “Bago ka lang ba dito? Ngayon lang kita nakita.” I said in a flat tone. “First day ko po ngayon. Kagagaling ko lang sa probinsya kagabi.” Sagot niya. “If you keep that up, this will be your first and last day working here. Sino ba ang nagpasok sa’yo dito?” I folded my arms over to my chest. We went back inside with his guitar. I knew the boys were already driving their Tita Ronnie crazy. They were running around and Ronnie was chasing after them, trying to sit them all down. Arthur sat on the couch and started playing his guitar as if he hadn’t seen it for years. “Yun kasing bagong driver, mekaniko, all around boy or whatever he is…” My frown grew even deeper. “Oh, si Tarzan. You’ve already met him na pala.” Ronnie grinned. “I forgot his name but he looks like Tarzan with his long hair.” Natatawangs abi ni Ronnie. “He called my sons’ father doktor ng mga baliw’ sa harap ni Arthur.” I shook my head. “Aalis na ba tayo or what?” Ronnie asked. I called the kids and they excitedly ran to me. Hinawakan ko si Monty at Brad habang karga naman ni Ronnie Sid papunta sa front door. Sid had always been Ronnie’s favorite because he was the sweetest amongst the triplets. We sat the triplets on the very back and strapped them in their carseats. Arthur sat on the second row with his guitar. He’d missed his guitar so much that he brought it with him. I slipped inside the driver’s seat and Ronnie sat on the passenger’s side. “Ate, paano if one day you decide to move out? Can you take care of them by yourself? Hindi ka ba naloloka sa mga anak mo?” Ronnie asked, chuckling while I drove. “They drive me crazy all the time but they’re the ones holding me together. I’m not going to lie and tell you that I can do it without you or Mama and Dad. It’s difficult raising four sons alone but you made it bearable.” I smiled a smile of gratitude. “It was supposed to be a secret!” I saw Arthur sharply turning his head to his brother through the rearview mirror. “Oop!” Brad giggled and covered his mouth. “It was supposed to be for Mommy’s birthday!” Sid frowned at him. “You and your big fat mouth ruined Mommy’s surprise!” Monty scolded his brother. “I said sorry.” Brad frowned angrily at his brother. “O, baka mag-away pa kayo niyan ah.” Ronnie said to the kids. “Why don’t you just sing the song you made for me? I would love to hear it.” I smiled. “It’s not your birthday yet.” Sabi ni Monty. “Come on. We want to hear it.” Pilit ni Ronnie. “I want to hear it.” Sabi ko. “Okay, but on your birthday just pretend it’s the first time you heard it.” Arthur giggled. Ronnie and I laughed along. He began to strum his guitar and it played a wonderful tune. He was getting better and better. “We love you, Mommy. You’re the best Mom in the world. You’re always there to make us food. You’re always there to make us feel good. Thank you for kissing our booboos. In a world full of Mommies, you’re the only one we’ll choose…” My sons sang together. My children are my life. My world revolved around them. Without them, tomorrow wouldn’t be worth the wait and yesterday wouldn’t be worth remembering. Why do i feel like na si soren and callum is iisa then fake lang yung pagkakita sa body na patay na kasi ang totoo itinago lang muna sya ni nick??? Sakit sa bangs.. Congrats. Kaganda naman. May book two po ba?? Callum’s death is the perfect ending, because if he was alive I don’t think Audrey would be able to really forgive and move on. Kahit na minahal sya talaga at nagsisi si Callum, what he did would forever haunt not just Audrey but also Nick if he was still alive. Her children became her salvation. Pero sana huwag pigilan ni Audrey na buksan ulit heart nya para sa ibang tao. I hope she can open herself to love again. I hope Callums still alive . Oo nga at may nagawa syang masama pero at the end is .. he try his best para mawala yung hatred ni drey sa anak nya . Author pwede bang buhay na lang sya ~_~ . I love this story so much.. Revenge will just ruin you.. Dami kong luha sa story na to. i love the way it ends. Yung napatawad niya na si Callum okey na yun. Callum serve his purpose, matanggap ni Drey si Arthur at mapatawad siya. Ayoko ko na ng Part 2.. Masaya na naman si Audrey.. Thanks Ms. Rain for this story. so i just finished the story and until now i’m still crying. this book will be one of my favorites. i hope si soren ay si callum and all this time na humahanap ng way si soren to protect audrey and their children. can’t wait for book 2 to be finished! I think may book 2 ito, right? Kasi parang buhay talaga si Callum don kaso sinikreto lang ni Phoenix. I hope there’s part 2 of this. And I do really hope Drey’s partner is still Callum. Well, I know it’s really hard to bring all of them together after all the pain, looking like a happy family. It’s like a fantasy, yes, but it would bring a slap of real values and moral lessons. The key to that pain is not just letting go, it’s forgiving and accepting. Mahirap ‘yan at first but worth it right after. Kasi kung wala rin naman ‘yung pain na ininflect ni Callum, they won’t appreciate the love, care, happiness, and importance of each other. Sometimes, ang inaakala nating pinakaworst ay ang pinakamaganda pala. Pleaseeeee, Ms. Author😂😄😍 I know it sounds impossible but atleast another big mind blowing plot twist. I hope si soren at callum ay iisa. Atleast kahit man ang sa wattpad magkaroon ng happily ever after. Malay ba natin nahulog si callum sa bangil nagkaamnisya. True. We’re thinking the same thing. I know it is too much. But can we at least ask for a book 2? I don’t know. At least Audrey deserves someone to take care of her. 😭 I know that it’ll be hard ba si Callum. Pero huhu at least Soren???? May book 2 po :). 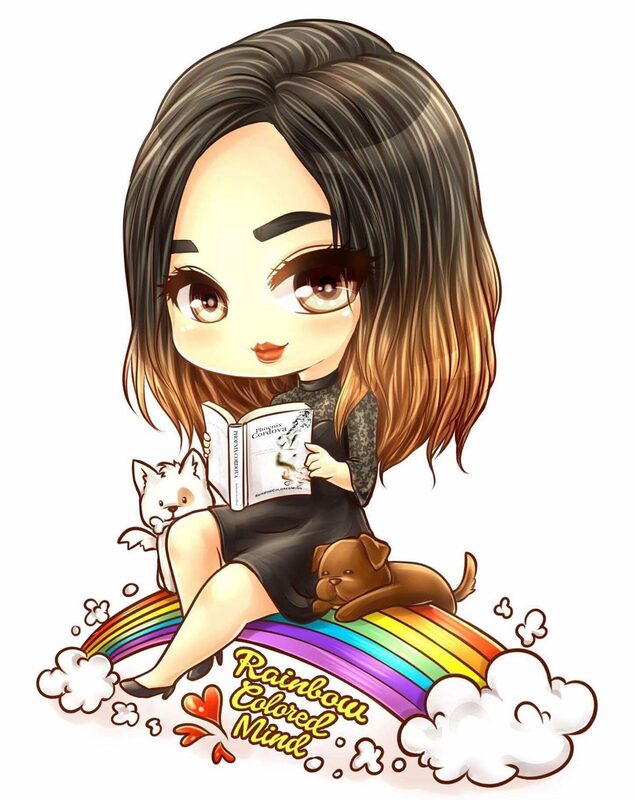 Check Ms Rain’s wattpad account. Beauty Arise po ang title and still on-going po yung story. Waaaah! Si Calum yung si Soren diba?! Nawalan siya ng alaala nung nahulog siya sa bangin. Tapos napunta siya sa probinsya…! Dibaaa?! Waaaah! Nabasa ko na to noon sa wattpad.. but still it hurts nung binasa ko ulit.. huhuhu ang sakit lang.. hindi naba mabibigyan ng chance si callum? Super plot twist ganun. I cried until the end. This is one of the best TRAGIC/Heart broken story. why???? sana buhay pa si callum please? ba’t sya lang yung maagang nawalan ng asawa bat ganun????? Wow. Indeed this story lives up to its title. Audrey may have a bad past but she has four babies. A Child is a gift from God however it’s conceived. Take care if you have one. Been crying in reading this. my part 2 po ba to ms author? Tragic ng story nitoooo huhu mamimiss ko to.